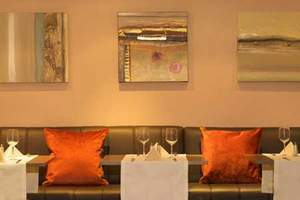 Gresham Belson Hotel, Chaussee De Louvain 805, 1140 Brussels, Belgium. 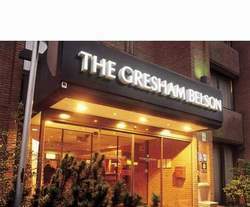 Part of the Gresham Group of luxury hotels, the Gresham Belson is a perfect business hotel located in Brussels between the Airport and the city centre with easy access to the highway and just a few minutes away from the NATO headquarters as well as the business parks. 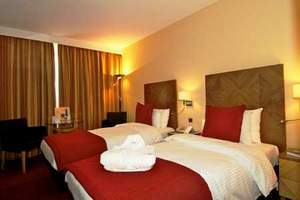 The Gresham Belson Brussels Airport Hotel consists of 136 elegantly decorated rooms equipped with all the necessary comforts to make your stay a relaxing one. 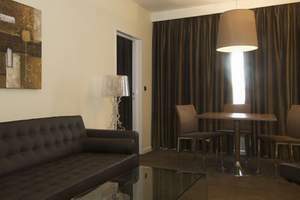 All the rooms include complimentary WiFi internet access, Interactive TV systems, air conditioning, a large underground car park and complimentary fitness facilities. Recently we added 6 new meeting rooms with all the facilities needed to have a successful event. After a hard day at work, or even worse a hard days shopping, what better way to relax and relieve all those stresses than a work-out in our state of the art Fitness Studio (room 217). 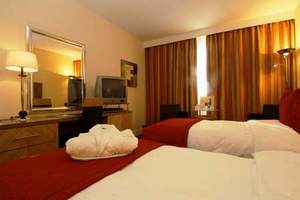 The Gresham Belson Hotel is proud to boast a modern suite of cardio-vascular equipment. For your added comfort, the gym is fully air conditioned, and fresh fruit, towels and spring water is available free of charge to guests wishing to use the facility.